Also called Teaberry, Checkerberry, and Boxberry, this low-growing evergreen plant grows from 4 to 6 inches tall. The flowers are white and bell shaped. It prefers acidic soils found in pine or hardwood forests, but produces its fruit in sunnier locations. 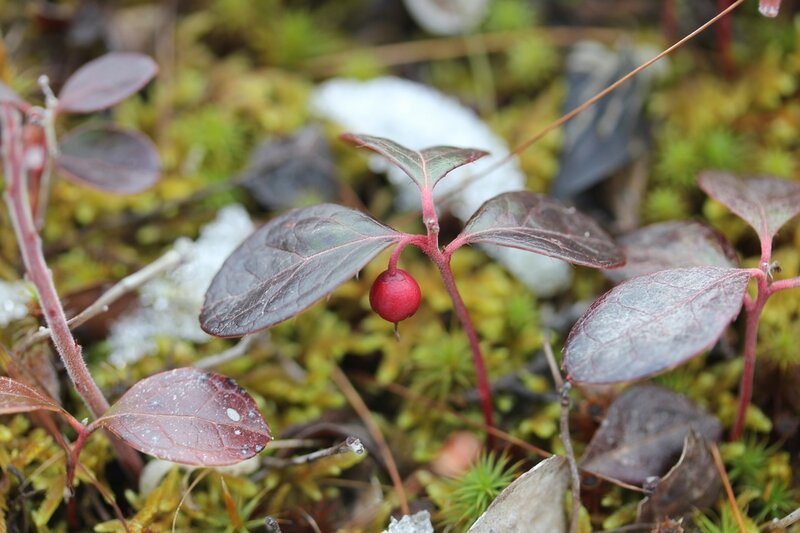 The berries are edible and have a mild, sweet wintergreen flavor. Leaves and branches are used to make an herbal tea. White-tailed deer browse on this plant, as well as wild turkey, black bear, white-footed deer mouse and red fox. It is a favorite of the Eastern chipmunk.